Luxi is a foam mattress company that has been providing various sleeping products to customers since 2015. The company was founded by a father and daughter who believed they had what it took to bring an affordable and accessible luxury mattress to the mass market. Their market share has grown quickly – today’s review will focus on why the Luxi mattress has proven to be a popular mattress with consumers. Should I Buy the Luxi Mattress? Like many of the newcomers in the online mattress game, Luxi uses a combination of advanced foams to construct their mattresses. They’ve been able to create a luxury feel for a relatively affordable price. Top – This portion of the mattress is the only part that you will come in direct contact with. It is made from 1.5” of Dunlop latex – this material has proven to be breathable, comfortable, and responsive. Second – This layer is the thinnest component of the mattress. It is 1” thick and consists entirely of memory foam. This provides additional comfort to the mattress. Third – This is another layer of memory foam, but this layer is designed to be more supportive than the second layer. It helps provide a smooth transition to the bottom layer of the mattress. This is 3.5” thick. Bottom – This is the primary foundation layer of the mattress. It helps support the rest of the mattress by being as firm as possible. It is formed from highly dense polyurethane foam. It is also 3.5” thick. You can actually flip the top three layers around to customize the mattress yourself. This would make the mattress softer, but less comfortable or absorptive. This is a unique quality that many other foam mattresses don’t have. You can effectively customize the mattress yourself, as long as you leave the support layer on the bottom. The total thickness of the mattress is 9.5” – this is about average for the foam mattress industry. The exact feel of the mattress will depend on which order you have the layers in. Many people don’t consider the cover of a mattress when they are deciding on whether or not to purchase it – this is a huge mistake. Depending on the mattress, the cover can have a huge impact on the mattress and how it feels. In the case of the Luxi mattress, the cover is especially relevant. Luxi have made their cover from a mixture of different synthetic materials: viscose, polyester, and spandex. These materials ensure that the cover stretches well around the mattress and provides additional breathability to ensure that the mattress can regulate heat properly. The only downside with this cover is the quilted top – which contains about 0.5” of foam. Some people may like this about the cover, but others may find that it takes away from the properties of the mattress. 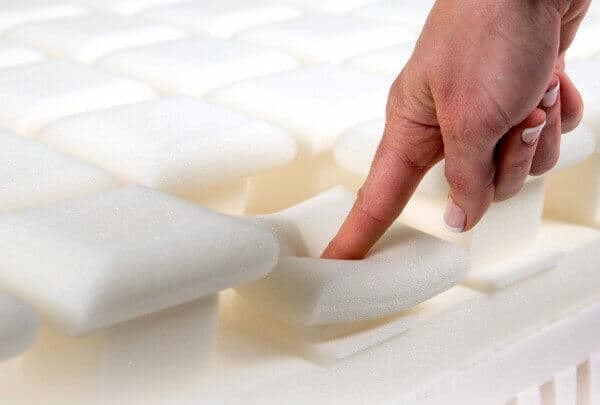 Many modern foam mattress producers have opted against using thick covers in order to prevent interference with the mattress – it can hide the good qualities your mattress has. In addition, thicker covers also tend to increase heat retention, which may end up counteracting the breathability of the mattress. The cover is easy to remove which is a huge bonus if you plan on moving the layers around to customize the feel of the mattress. This also makes it easy to wash if you end up having a spill! Now that we have addressed the way that the mattress and cover are manufactured, it’s time to assess the comfort and support levels that it will be able to provide, should you purchase it. 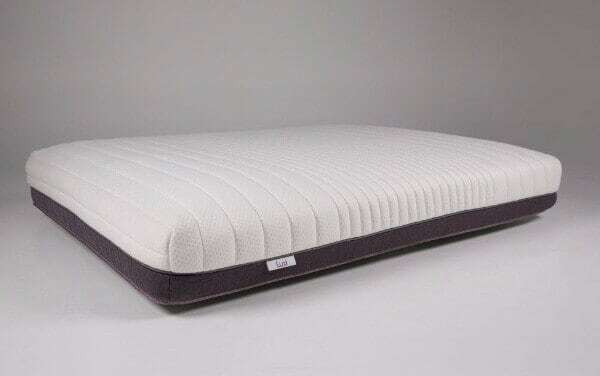 We’ve run a number of tests on the mattress to determine what type of support it can offer those who sleep on it. The problem is that this is entirely dependent on how you set up the mattress. You can arrange the different layers to either have a soft or firm layout – which is great if you have a variety of tastes or struggle to find a mattress that is most suitable for you. We have determined that the support of the Luxi ranges from a 3.5/10 to an 8/10 – a considerable range of choices should you customize the mattress yourself. This means that the Luxi mattress is perfect for people with a wide range of sleeping preferences. Those who are heavier sleepers will enjoy the firm support of the most supportive arrangement. While those who are lighter, and value a comfortable mattress, will enjoy the least supportive option. If you set up the Luxi mattress to have a soft feel to it you will be surprised about how wonderful it feels. It literally feels like you’re lying on a cloud. The mattress does a great job of hugging around your body to give you a true high-end memory foam experience. In terms of comfort, it’s hard to differentiate this mattress from top-of-the-line brands. If you arrange the layers to have a more medium feel, you’ll find that there is a lot of response in the mattress. Many sleepers prefer this, they feel that the soft version of the mattress creates too much of a sinking feeling, which can be rather uncomfortable for people who need additional support when they sleep. This is a better setting for those who are of a normal weight distribution. All in all, we’ve really enjoyed testing out the Luxi mattress. It’s one of the only mattresses on the market that you can customize yourself – many mattress manufacturers offer multiple mattress, but not ones that you can intermediately change. This means that the mattress is good for those who don’t know what preferences they have. It’s also a good mattress that can be handed down to other members in the family who may have different support requirements. We normally try and provide a synopsis of changes that mattresses have undergone over the years, but because Luxi is so new, this isn’t really possible. The mattress has only been in circulation for around two years. Aside from some small aesthetic changes to design, the Luxi mattress has stuck with the same winning formula since day one. Most people in the market for a mattress think about comfort, but few realize that sinkage is also a key determinate of whether or not a mattress is suitable for your or your partner. We’ve run some tests to determine what levels of sinkage occur when using a Luxi mattress. We arranged the mattress to be on a medium support level, so keep in mind sinkage will vary slightly when on soft or firm configurations. Keep in mind all of these tests were done using a person of a normal weight distribution (145 lbs) – sinkage level will vary depending on your weight and size. Whether or not the Luxi mattress is right for you will come down to preference. Fortunately, you can configure the mattress into a multitude of different support and comfort modes. This means that you won’t have to be comfortable with only one setting to purchase the mattress. It also means you can adapt the mattress as your preferences change. If you’re looking for flexibility and mattress customization, this is definitely a good choice. If you’re someone who wants a foam mattress that will mold around your body, this is also a good option. The soft setting on this mattress really hugs you as you sleep – it is definitely one of the most comfortable options out there if you’re not a heavy sleeper. But if you are a heavy sleeper, don’t worry, the firmest setting on this mattress is also extremely supportive. One potential downside of this mattress is the cover. They have included a quilted foam layer to help provide additional comfort, but it also increases the mattress’s heat retention. This may turn into a huge problem for someone who overheats in the middle of the night. For this reason, we typically suggest that people look for a thin and breathable cover when they are opting for a foam mattress. 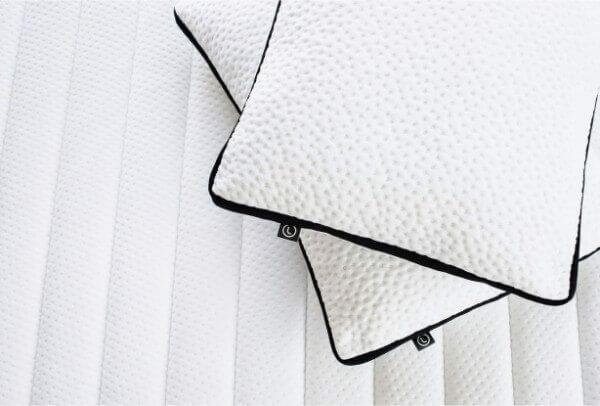 Because foam mattresses are made from high-density materials, they don’t breathe as well as spring or coil mattress, and thick covers can further propagate this problem. All in all, the Luxi mattress is a great mattress for people who want to enter the foam mattress market at an affordable price point. They offer an awesome product and give you the freedom to customize it to the exact specifications that you want.